Home@735 is currently accepting proposals from artists. Opportunities for successful applicants include being curated into one of our regular group exhibitions. Home@735 will review proposals and applicants will receive a notice as to whether their proposal has been successful within 2 weeks of receiving the application. Home@735 Gallery provides insurance, installation and de-installation, staffing during opening hours and opening night costs (drinks and bar staff) and covers costs associated with the sale of artworks and promotion of the exhibition. Home@735 engages a photographer and an arts writer to document each show. Home@735 Gallery has a commission and fee structure for each exhibiting artist. Contact us for details. 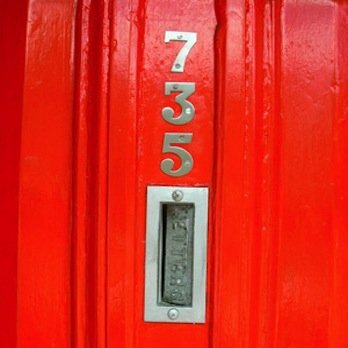 Home@735 Gallery is taking submissions for inclusion to our stockroom. We host artwork by select interstate and local unrepresented artists. Home@735 will review proposals and applicants will receive a notice as to whether their proposal has been successful within 2 weeks of receiving the application. Please provide a 300 word (max) summary outlining the work you propose to exhibit and your artistic goals. Do not send images via email. Applications should contain a link to a website portfolio alternatively a disc of images can be posted to Home@735 containing up to 20 images or 5 videos. Please list past exhibitions and art related education.